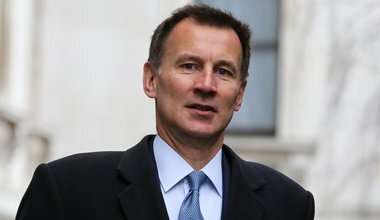 Jeremy Hunt thinks it would be 'moral bankruptcy' NOT to arm Saudi Arabia. Sorry, what? 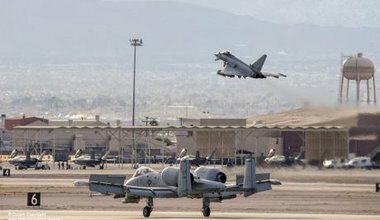 Next month the case against British arms sales to Saudi Arabia for use in Yemen goes to the Court of Appeal. Meanwhile the Foreign Secretary continues the long British tradition of putting arms company profits before human lives. At a time when the Saudis are intensifying their crackdown on human rights, yesterday’s reception gave all the wrong messages. 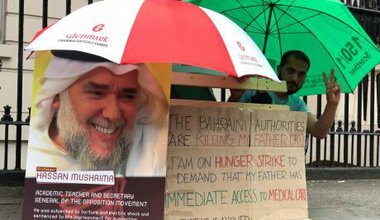 Ali Mushaima in on hunger strike outside the Bahraini embassy in Kensington, demanding basic rights for his political-prisoner father. 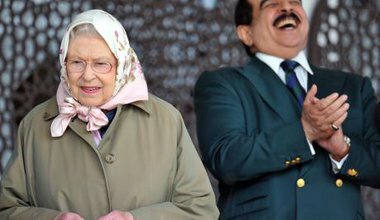 For decades the UK monarchy has been wheeled out to impress human rights abusers to whom Britain is keen to sell arms. This weekend, it’s Bahrain’s turn. 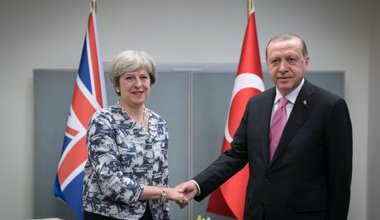 The UK has a long and inglorious history of political and military support for dictatorships. Ministerial statements suggest Brexit will make it even worse.